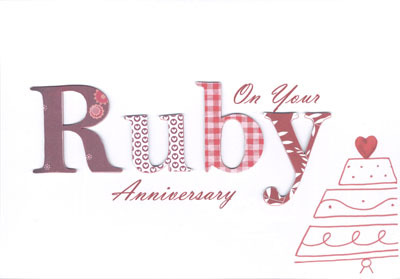 Personalised Silver, Pearl, Coral, Ruby, Gold Anniversary Cards. All Card orders are Despatched in a Board Backed Envelope. 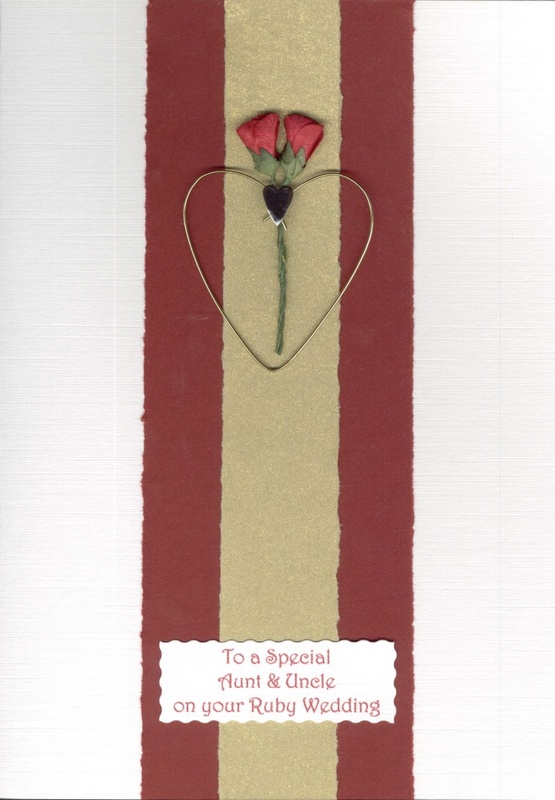 This Card is available in 3 variations ruby, gold & silver with message . white card & white envelope. Size 11 x 15.5 cm. For pictures of various colours see the bottom picture to show different anniversaries and how they'd look. 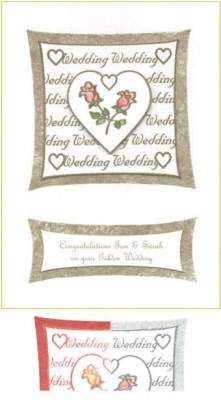 Embossed wedding wording with heart shape on 3d foam on top rose in the middle , painted with glass paints. Mounted on angel wire or mulberry paper and placed on card. As happy man and wife. 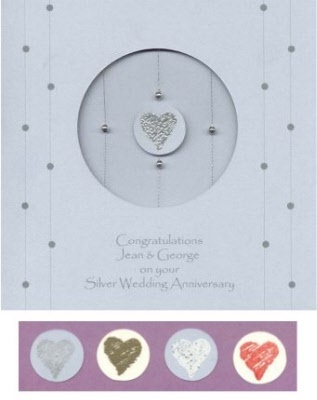 This circle anniversary card is available in 4 variations ruby, gold, silver & pearl. For pictures of various colours see below the card to show how others will be done. size 12 x 12 cm. Silver & Pearl cards are on blue pearlescent card, gold & ruby are on cream pearlescent card. Either blue or white envelope depending on anniversary. Circle window in card, with beads placed on thread and attached to the card, with heart in centre. 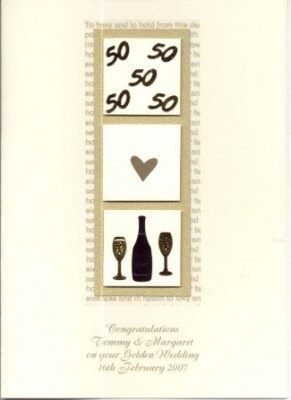 Wire heart anniversary card available in gold,ruby,& silver on white card with white envelope. Two entwined beaded wire hearts on card mounted on anniversary coloured paper or card. Size 9.9 x 21 cm. 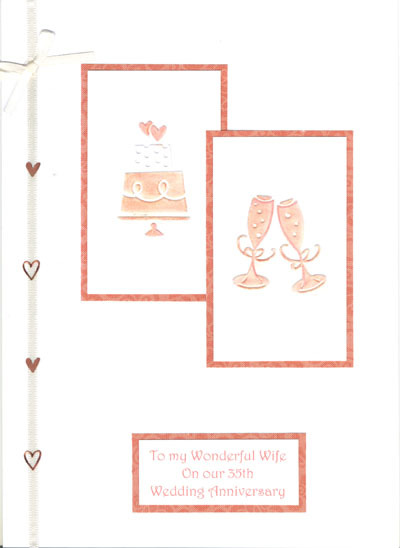 The card is cream coloured pearlescent , with vows in background. Size 14.8 x 21 cm in a white envelope. 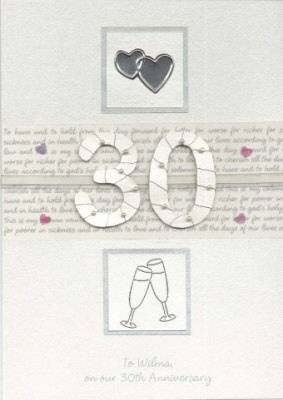 The card is pearlescent , with vows across the middle, with a 30 wrapped in wire with pearls on it. It also features glasses & metal hearts. Textured off white card, 14.8 x 21 cm, supplied with a white envelope. With torn burgundy & gold paper, topped with a wire frame heart with roses. Any couples name can be added with message inside. 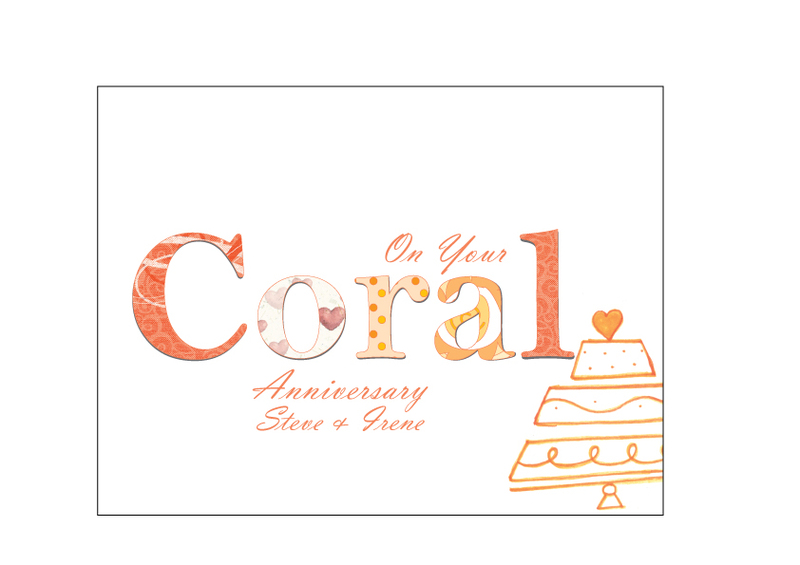 features a cake in the corner & the word coral which has been cut from different patterned card & fixed to the front. Any names can be added with message inside. Made from White card size 14.8 x 21 cm, supplied with white envelope. Features an embossed cake & champagne glasses with have been coloured. Wording to the bottom & cream ribbon down side with coloured hearts.